Perhaps the most common search for cannabis industry jobs in Portland is directed toward medical and recreational dispensaries. Stumptown is overflowing with cannabis shops of every name imaginable. A green “+” on a placard outside promises marijuana galore inside. Dispensaries are havens for many Portlanders who are looking to enjoy cannabis products for pleasure, as medicine, or both! 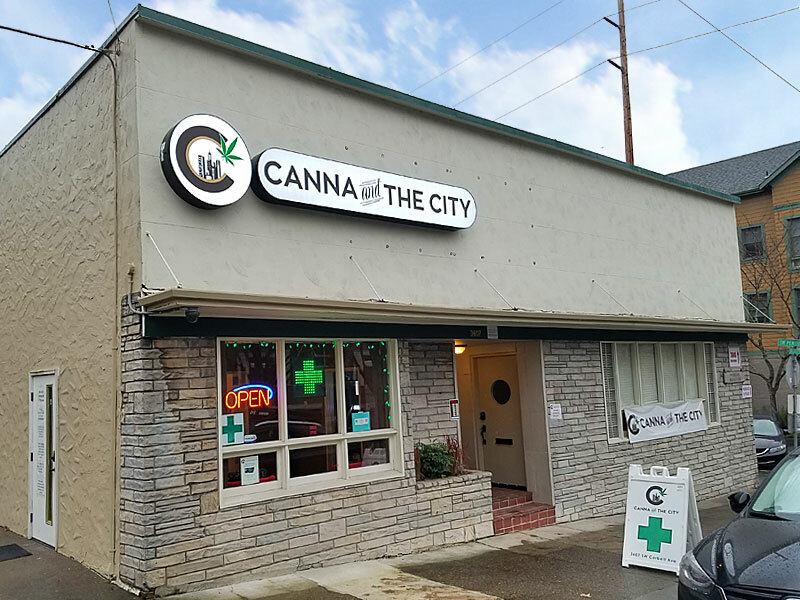 Due to such a mainstreaming of marijuana in the city, an increasing fervor to obtain Portland marijuana dispensary jobs is evident in local and out of town cannabis enthusiasts alike. What Are Portland Marijuana Dispensary Jobs? Most commonly, the positions sought after in dispensaries are budtending and reception jobs. Leadership opportunities in management/inventory and ownership are also popular queries among business folk. Working as a budtender or receptionist is often considered to be the most entry level position for those interested in the cannabis industry. With that said, these positions could not be of more importance. Both jobs require being “the face” of a particular dispensary, so it is necessary to have the best workers in customer service, with extensive knowledge of marijuana in order to keep customers coming back. With so much competition between dispensaries in Portland, having a great staff can make or break a business. Aside from customer service, budtenders and receptionists must make sure to comply with all medical and recreational standards set forth by the OMPP and OLCC. Failure to carry out these standards could result in termination of employment, or in some cases, the closing of a business. Working Portland marijuana dispensary jobs as a receptionist is not unlike doing so in many other industries. The position involves greeting customers, processing all forms of identification and answering questions. Receptionists must have keen knowledge of the dispensary’s day to day operations and be able to convey information clearly and effectively. This job requires data entry and superior organizational skills. Receptionists must also be able to answer calls and send emails while maintaining a helpful, professional demeanor. Often times, receptionists will work in both budtending and administration, depending on staffing and scheduling needs of a particular dispensary. Pay for reception jobs varies, but given its entry level status, wages start at minimum and progress up to fifteen dollars per hour. The illusive budtending job is a favorite query among motivated stoners who want to share their love of cannabis with the world. Budtending is mainly a customer service based job that focuses on providing shop visitors with the best experience possible in finding a product to suit their needs. This Portland marijuana dispensary job requires in depth knowledge of products and their medical benefits. Since recreational legalization has passed, the demographic of customers visiting dispensaries has widened to include virtually all adults with any interest in cannabis. This means budtenders will consistently interact with experienced and novice marijuana users with all levels of knowledge about products and Oregon cannabis legislation. It pays for budtenders to offer the same compassionate service to all customers, while also offering advice based on their specific needs and financial restrictions. Aside from customer service responsibilities, budtenders must also stock inventory and maintain store cleanliness throughout the day. A well presented and organized product has a better chance of appealing to the customer. Messy displays leave customers feeling unwilling to pay top dollar, even if the product itself is worth the money. Rolling joints is a basic responsibility of many budtenders. Pre-rolls often come in half-gram and full-gram amounts and are enclosed within cone shaped rolling papers. The cone papers allow for a more consistent roll, but still require a deft hand so the joint lights properly while keeping contents compact within. Other duties of a budtender vary, but could include tasks such as updating social media accounts and basic marketing. Keeping an up-to-date menu on a dispensary’s personal website or Leafly account is a good indicator that a dispensary is active and reliable. When looking into applying for Portland marijuana dispensary jobs, it’s important to understand what kind of dispensary it is, the location, the volume of customers and products. I would highly advise visiting a dispensary and trying one or more of their products before even applying. Some Portland, Oregon dispensaries like Nectar receive a high volume of customers and offer a wide variety of products. Therefore, receptionist and budtending jobs in Portland can be very fast paced, but present the opportunity for more tips. On the other hand, smaller dispensaries with fewer products benefit from more one on one time with each customer, helping to create a dedicated customer base. At these smaller dispensaries, budtenders sometimes pull double duty as receptionists and vice versa. Since there are less products offered at these smaller dispensaries, there is a better chance that the budtender has personally tried many of the options themself, and therefore can give experienced opinions on each product. Leadership opportunities in dispensaries require a reliable detail and customer oriented staff. Dispensary managers are essentially responsible for maintaining and overseeing everything that happens “beneath” them, while also assisting owners and higher ups with their tasks. One of the most important jobs of a dispensary manager is hiring employees. Managers must know what makes a dispensary run well and be able to consistently staff the shop with promising employees, despite turnover. They must also be able to coordinate scheduling of all their employees and collect all tax forms, Marijuana Worker Permit and pieces of ID needed to legally work a marijuana job in Oregon. Dispensary managers must educate employees on all things cannabis, including strains, concentrates, consumption methods and medical benefits. Dispensary managers may also interact with customers on a daily basis. Some managers work Portland marijuana dispensary jobs as budtenders, in addition to their management duties. They must be able to provide courteous, detailed service they would expect from the other budtenders. Additionally, managers have to deal with any customer queries or complaints that a subordinate is unable to authorize. One of the most important tasks of a dispensary manager in Portland is being well versed on city and state cannabis legislation. Managers are responsible for making sure that they and all their employees comply with all regulations, in order to keep the business running smoothly without interference from the OLCC or OMMP. Other responsibilities of dispensary managers include marketing and inventory. Of course, the highest attainable Portland marijuana dispensary job is ownership! While this career has the possibility for the highest individual payout, it also contains the greatest risk for financial damage to an individual’s livelihood. Owning and running a Portland dispensary is not an easy task. Much has been written on the difficulties of transitioning from purely medical cannabis legalization and sales to recreational legalization for adults 21+. Aside from the hurdle of gaining enough capital to start a business, complying with OLCC/OMMP regulations is expensive and time consuming. Competition between dispensaries is becoming increasingly evident with more and more shops opening up all the time. With such a skyrocketing population, Portland dispensaries are tasked with standing out from the crowd in order to turn a profit. Aside from the jobs listed above, there are a few other possibilities for work in or with a cannabis dispensary. Some shops take advantage of security options in order to maintain a safe atmosphere for customers and employees alike. Similar to that of a bar, security personnel may be in charge of checking IDs, as well as intervening in the event of a dispute. IT workers are also integral to dispensaries so that all operations can run smoothly. This includes maintenance of company servers, POS systems and more. Many dispensaries can’t afford to close their shop for the day if there are technical difficulties, so IT workers are in high demand. Working Portland marijuana dispensary jobs is appealing to many applicants because it offers the possibility of working a customer service position for something they really care about. Dispensaries offer a community within themselves as well as being part of the collective Portland community. This is a place where like-minded cannabis enthusiasts can find work in a field they are passionate about, which may have not been possible before legalization. One of the other benefits of working Portland dispensary jobs is the cannabis itself! Many dispensaries provide their employees with a healthy discount and if that’s not incentive to do a good job at work, I don’t know what is. It’s extremely helpful for budtenders to have tried as many of the strains possible in any case, so the discount ultimately works for the employee and contributes to dispensary business. While pay for budtending and receptionist jobs may start out at or around minimum wage, there appears to be many opportunities for growth based on consistency of work and experience level. Employees who have worked with a dispensary for a long time who perhaps have a loyal customer base, are an asset to the business and justify pay increases. Many dispensaries allow for tipping, which helps to drive up the hourly wage. Working Portland marijuana dispensary jobs is just one option of many jobs available in the fast growing cannabis industry. Budtending, reception, and marijuana trimming jobs in Portland are the most entry level avenue to obtain employment in the marijuana business. The excitement around working in a dispensary is in part thanks to cannabis culture which is informed by the arts, celebrity, medicine and politics. This exchange of information across the U.S. and internationally, creates unique, diverse hiring opportunities for dispensary owners and managers. Everyone has different reasons for pursuing dispensary work and every reason is a valid one. Hope to see you soon behind the counter!